Shrink film from Jindal PolyWrap makes packing convenient as it is sensitive to heat and shrinks to fit the form of the goods on an application of optimum heat. 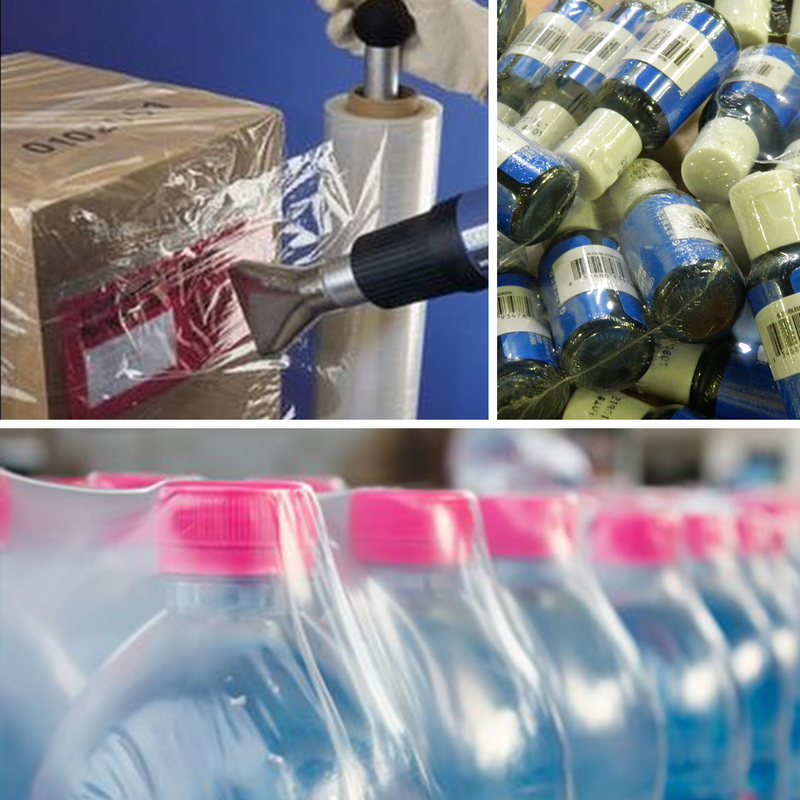 Shrink film from Jindal PolyWrap is an effective packing material used in packing beverages, bottled water, food & canned goods, consumer goods bundles, large & small household appliances and many more. The Shrink Film is made of polymer plastic film and when heat is applied, the film shrinks tightly over the object that needs to be covered. The heat is applied with a handheld heat gun or a heat tunnel on a conveyor. The films stretch when they are warm and mould onto the product tightly. The Shrink Film is available in a variety of thicknesses, clarities, strengths and shrink ratios and is made of Polyethylene, Polypropylene, and several compositions.